YouTuber The Brick Wall must have stepped on one too many of his LEGO builds because his newest project is a LEGO Roomba. 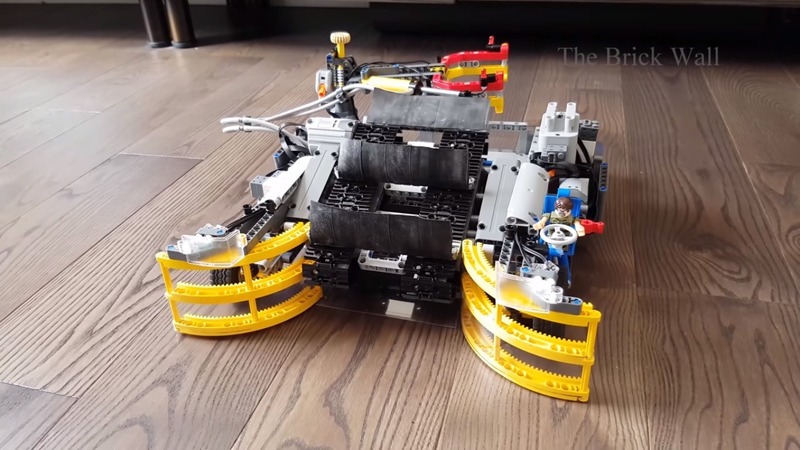 While the Roomba is traditionally used to sweep all debris from floor surfaces, this special floor sweeper specializes in just sweeping up LEGOs— Small LEGOs, medium LEGOs, even those humongous LEGO slabs you can’t seem to take apart. In total, the machine is made up of 986 individual parts and has a height of 5.5 inches (14 cm), a width of 13 inches (33cm), and a length of 14 inches (36cm). 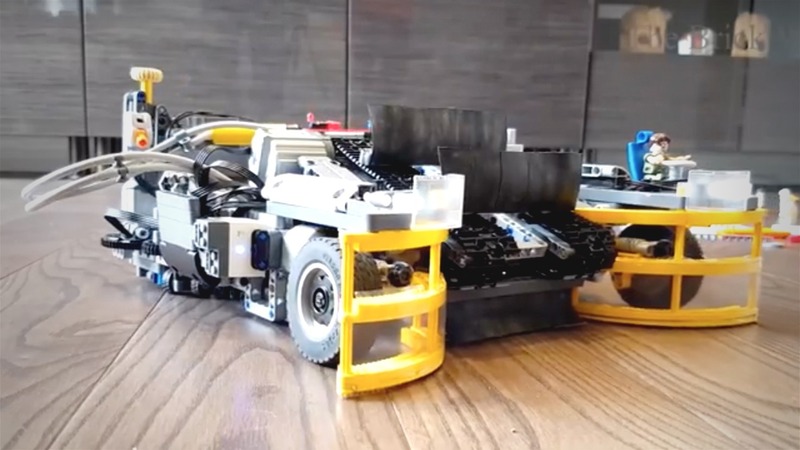 Its magical LEGO-sweeping powers are made possible by seven separate motors. Driving the Roomba is made possible using two SBrick Plus RC receivers and an iPad with the SBrick application. Combined with the seven motors, the LEGO Roomba is capable of making smooth 180-degree turns for efficient hands-free LEGO gathering; the front guards funnel in small and medium-sized LEGOs while larger pieces are scooped up by a mechanical arm. Also be sure to check out more of The Brick Wall’s builds over on his YouTube channel.